Online retailer Amazon.com (AMZN: 226.62, -3.23, -1.41%) revealed on Monday it has inked a streaming video pact with FOX, bringing its portfolio of content to more than 11,000 movies and TV shows. The series of deals should allow Seattle-based Amazon.com to continue to compete against rival NetFlix (NFLX: 130.02, -2.20, -1.66%), which also announced it scored a content deal with DreamWorks Animation SKG (DWA: 19.12, +0.24, +1.28%). The FOX deal with Amazon.com adds a slew of big-name titles to its library, including The X-Files, 24, Ally McBeal and Buffy the Vampire Slayer. Amazon.com also said the agreement makes The Wonder Years available on digital video for the first time ever. FOX is owned by News Corp. (NWSA: 16.75, +0.41, +2.51%), which also owns FOX Business. 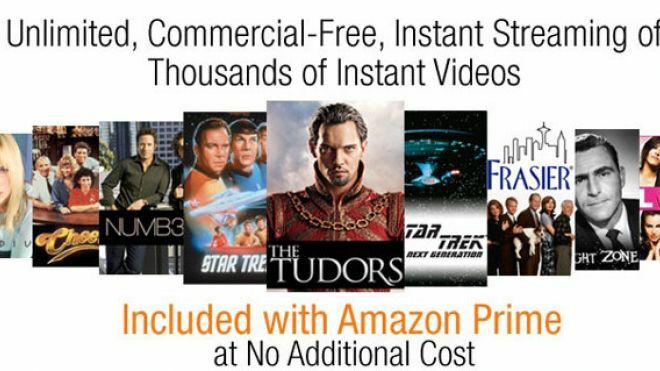 Amazon.com has also reached content deals in recent months with CBS (CBS: 22.85, +0.84, +3.82%), Sony (SNE: 19.59, +0.60, +3.16%), Time Warner’s (TWX: 31.66, +0.91, +2.96%) Warner Bros and NBC Universal, which is majority owned by Comcast (CMCSA: 22.58, +0.68, +3.10%). Shares of Amazon.com jumped 1.91% to $227.89 ahead of Monday’s open. You are currently browsing the archives for the vioeo internet category.